The Xiaomi Mi Car Charger Basic price in India is Rs 599 and is currently priced at Rs 449. Xiaomi, the Chinese tech giant company had launched the Mi Car Charger in India last year, but now the company has expanded its car accessories portfolio and launched the Mi Car Charger Basic. The device is up for sale on Mi India website and comes with a Quick Charge 3.0 fast charging support. Similar to the previous version the Mi Car Charger Basic supports dual USB ports for two phones by which one can charge the two phones simultaneously. 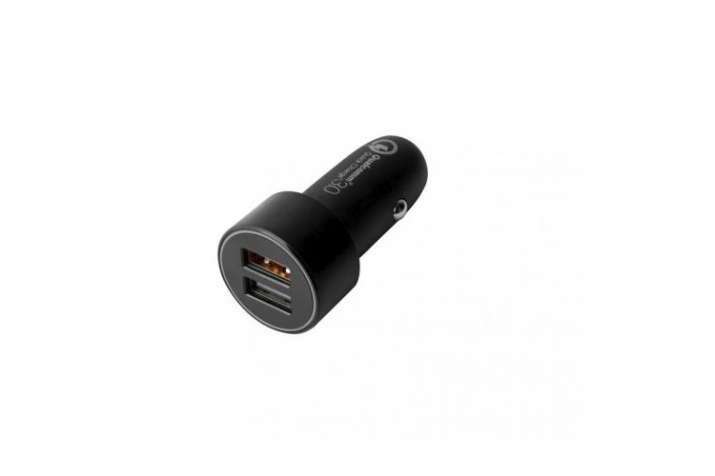 Synonymous to how most car chargers look, the Mi Car charger comes with Black exterior and a cylindrical design. The charger is made of polycarbonate material and is lightweight. Xiaomi has also included a Blue LED ring at the edge of the charger that allows users to see if the car charger has been inserted properly into the DC socket or not. The light also helps users find the socket in dark and helps differentiate between fast charging and other regular charging port. The Xiaomi Mi Car Charger Basic price in India is Rs 599 and is currently priced at Rs 449. The dual ports in the charger let users charge two phones simultaneously, but offers Quick Charge 3.0 fast charging in only one port. The Quick Charge port is coloured red for defining the difference and allows up to 18W fast charging. It is also compatible with both DC sockets found in cars (12V/24V).